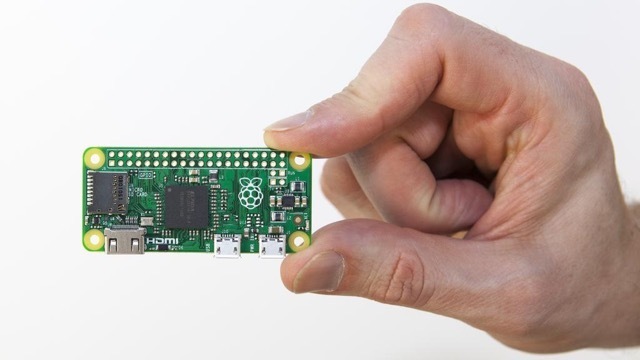 Raspberry Pi Zero runs Raspbian and all your favourite applications, including Scratch, Minecraft and Sonic Pi. It is available today in the UK from our friends atThe Pi Hut and Pimoroni, and in the US from Adafruit and in-store at your local branch of Micro Center. We’ve built several tens of thousands of units so far, and are building more, but we expect demand to outstrip supply for the next little while.